The incredible adventure destination called Upper Dolpo- The country of behind the Himalayas- Trekking positioned on the western face of Nepal and is encountered as an unexplored destination which is less developed region. The geographic difficulty, Upper Dolpo Trekking is popular as a cut off trek which is sternly off limits. This is the reason why the tradition, as well as the life of people living near the Upper Dolpo, has been stayed behind unharmed and undisturbed. Upper Dolpo region is thereby celebrated as a land moving away from the elegant Himalayas and trekkers are called up for mysterious monasteries, blue sheep, and leopards. Upper Dolpo Trekking covers 5,360 meters as a lofty altitude. Upper Dolpo Trekking moves through different huge ranges of mountains like Dhaulagiri, Annapurna and Kanjiroba and some even move away from Lower Dolpo. Some of the core highlights offered by Upper Dolpo Trekking is the scenic airways from Nepalgunj and Juphal with the presence of Shey Phoksundo Lake and National Park. Trekkers will get to know the experience of passing from the Jeng La, Kang La and Saldang La. Shey Gompa, the popular Buddhist monasteries is another important thing to visit on this trek with other serene mountains, distinct cultures, and flora with fauna. Here, trekkers will be more encouraged sensing the wilderness of remoteness rather than being frustrated. Those villages situated in Upper Dolpo begin from 4,300 meters or even exceed than that. We start our Upper Dolpo trekking after taking the domestic flight to Nepalgunj and catching another short flight to Juphal at an elevation of 2475 meter. And then real adventurous trek will begin from here, we trek towards Chhepka and Palam village passing the wonderful and unique small Reechi village and lush forest. The early next day after sharp rambling for about four hours and then from there, we can close-up view the highest waterfall of Nepal called Sunlight Waterfall or Phoksundo Waterfall. The local people following the Tibetan Buddhism and Bonpo area are the residents of this small Ringmo village. We will walk through a trail of the Oscar-nominated movie CARAVAN and get to Sallaghari from where the outstanding view of Annapurna, Dhaulagiri, and Kanjiwora Himal can be seen clearly. After walking through energetic uphills and downhills, we arrive at SheyGompa is a small village with few houses and monasteries. The SheyGompa was made in the 11th century underneath the gem peak, therefore it embraces important cultures and traditions to local peoples. And then walking ups and downs, then passing comparable adventurous trekking days, the trekkers trek towards Jomsom and flight back to Pokhara and Kathmandu. Upper Dolpo Trekking is the land of mystery so moving there trekkers will get to know several unsolved things. As an activity sightseeing and elevated altitude, trekking is carried out as an adventure activity. In additional, trekkers have to walk six to seven hours per day with their Upper Dolpo Trek map. The Upper Dolpo is a restricted region, so trekkers need to take a special Dolpo trekking permit through authorized trekking agency with a professional guide for your disposal. Both Upper and Lower Dolpo, there are no fully well-managed accommodation and tea house facilities, thus trekker should stay overnight at camp and all tented accommodation will provide you with delicious meals during the trek which serves our experience trekking chef and kitchen team. We will use all necessary cheerful porters and Yaks for carrying your luggage and foods trekking in Upper Dolpo. The best season to do a trek in Dolpo reason: at autumn in end of September to end of November and at spring in January to end of April. Irrespective, the expected beauty of picturesque sceneries, Himalayas, natural scenes and cultural position makes this Upper Dolpo region truly exciting and interesting. 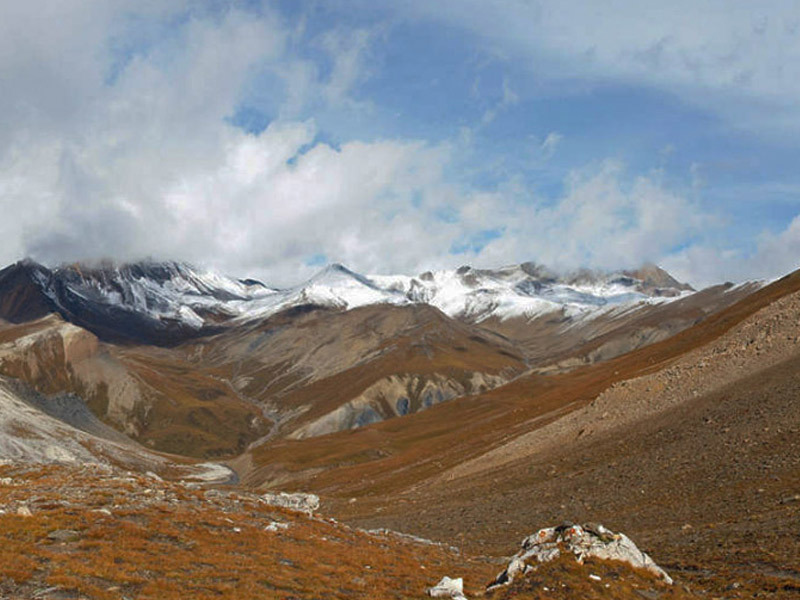 Thus, Nepal Glacier Treks always welcome you to visit the mysterious land of Upper Dolpo. All staff expenses with their accommodation, domestic airfare, salary, equipment, insurance, and food. All official, local and government taxes. Day 01Arrival in Kathmandu (1345m)After landing at the airport, we transfer from Tribhuvan International Airport to the hotel in Kathmandu. In the evening, you can visit nearby places and overnight in hotel. Day 02Pre- trip meeting and Kathmandu valley sightseeing tourOn this second day, we start pre- trip meeting at 8 am after breakfast in the morning. We request for all that ensure bring passport, travel insurance policy, four passport size photographs. After the meeting, we start our Kathmandu valley sightseeing tour with a professional guide. On this tour, we will visit Pashupatinath temple, Boudhanath stupa, Swyambhunath Stupa, Hanuman dhokla Durbar Square and Patan Durbar Square. And then back to the hotel, trek preparation and overnight hotel in Kathmandu. Day 03Flight to Nepalgunj After completing the sightseeing in Kathmandu you will take a domestic flight to Nepalgunj from Kathmandu where you will get to see few bazaars inhabited by mixed ethnic people. Basically, in Nepalgunj, you will visit the sanctified temple of Bageshori. Stay overnight at local hotel. Day 04Flight to Juphal (2,320m), trek to Dunai (2,850m) 3 hours On this day, after breakfast in the morning, we will take another short flight from Nepaljung to Jhupal (2,320m) which takes 45 minutes. During the flight to Jhupal will provide you an amazing view of Dhaulagiri and Annapurna Himalayan peak. 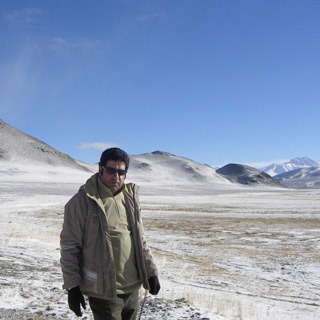 After landing, you would walk two or three hours towards the campsite known as Dunai (2,850m). Overnight stay at tented camp. Day 05Trek to Ankhe (2,896m) 5- 6 hours On the following day, the trail uniformly shows the way to Rahagaon by lifting up a village famous as Thakuri (2,900m). From Thakuri, the trail leads you to the lower face of Rahagaon enchanting a fixed downhill at the Phoksundo. Crossing the trekking trail you will approach downfall all the way through the shaded forest and wide-ranging streams with Shey Phosundo National Park. 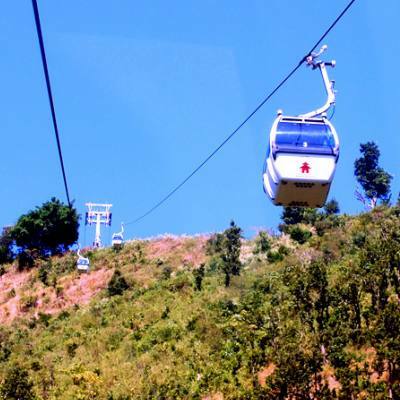 It will later take you to Ankhe (2,896m). Overnight stay at tented camp. Day 06: Trek to Sulighat (3,500m) 5- 6 hoursOn the following day, you will move about Sulighat from Ankhe, approximately by crossing the downward crafting out as the immediate stylish river. Creating the dike all along the river bank, the trail will turn into the crowd of firewood and rocks. The trek remains on widen upstream and will move toward viewing the bridge near to Ryajik Village. Stay overnight in a tented camp. Day 07Trek to Phoksundo Lake (3,611m) 4- 5 hoursAt this point the route shift to let movable country on the edge where one can see the distant inspecting Phoksundo Lake and a stirring superior cascade, one of the maximum in Nepal. Spending some tiny at Phoksundo Lake you can view the massive sights. The small saunter towards the beach will suggest you to the Phoksundo Lake. Overnight at tented camp. Day 08Rest and acclimatization in Phoksundo LakeToday we will take a well rest and its deserved rest day to acclimatization at Phoksundo Lake. During the day we will do a short hike to Ringmo village and it’s a Tibetan Buddhist Gompa (Monastery). From where we get a fabulous chance to explore familiar with local Tibetan culture. The local people wear a simple dress that is occasionally decorated an isolated color and they errand Tibetan style Dhocha or samba (upturned toes with boots) to foot wear. Mutually men and women regularly wear devout lucky charm series of turquoise, color, and amber. Stay overnight in a tented camp in Phoksundo Lake. Day 09Trek to Phoksundo Khola 4- 5 hoursArriving at Phoksundo, the adventures increase as you stay away from the beach of the lake. The wobbly trail detached on the pathway of wood hold up in the rocks may generate some difficulty. The westernmost rim of the lake will get you all from side to side of the lush pasture which unlock into the spread out plain of the Phoksundo Khola. Overnight at tented camp. Day 10Trek to Phoksundo Bhanjyang 6- 7 hours With the combination of Phoksundo Khola and a different mountain stream, there exists an antique wood bridge. An absolute rise will be given to the sheep field turning up the vertical channel. A firm ascends to the summit will once more get you so far a new-fangled valley where one can outlook the Kang-La. Stay overnight in a tented camp. Day 11Trek to Shey Gompa (4,500m) via Kang La Pass (5,360m) 5- 6 hoursOn the following day, you will start the trek to Shey Gompa (4,500m) through Kang La Pass (5,360m) with a steep trail. The appearance of red chorten hints the entrance at Shey Gompa, with a charming timber, Log Bridge up to the location at Shey Gompa. We also pass through pastures where can get see many sheep, feeding yaks, and local mountain goat. After crossing an antiquated log bridge arrive the Shey Gompa complex where we will stay overnight. Shey Gompa fits into the local community called Chaiba which was the quick Kagyupa Gompa enclosed in the 11th century. Overnight at tented camp. Day 12Rest day and acclimatization in Shey Gompa On the following day, you will get time for taking rest. Taking rest on this day has its own importance as it helps to get used to with new environments as well as to get take up the most topical surroundings. In addition, you will get time to stretch your muscles as taking rest does not means you have to stay idle. So, you will move out from the camp and will walk around in an innovative atmosphere. Shey Gompa was made in 1655 and the Gompa (monastery) is well-known for massive copper with a gold-plated gold sculpture of a settled lord Buddha. Overnight at tented camp. Day 13Trek to Namduna Gaun (4,800m) via Saldang La (5,200m) 6- 7 hoursWe start the day by following an enjoyable trail amongst Juniper trees which goes down into a gray and stony valley. Then the trail starts to crisscross over plain rocks and bristly battered soil till it finally gets us to the upper of Saldang la pass. The later downhill to the northern part is ongoing and trying yet you will move toward the great panorama of pasturing the browse yaks and sheep. The idea of approaching the Namuda Gaun (4,800m) will adapt the perspective of the trek. The identical kind to Shey, the Namgung monastery robust into the Karma-Pa cult. Overnight stay at the tented camp in Namuda Gaun. Day 14Trek to Saldang (3,620m) 4- 5 hoursOn the following day, the trek will demonstrate the way into the Saldang (3,620m) which come into sight on the smooth landscape of renowned Nam Khongmala. Saldang is the chief town to be set up in the inner Dolpo area with delightful façade. It is an affluent village with projected on a trade way to Tibet. Overnight stay at tented camp. Day 15Trek to Yangze Gompa (4,960m) 4- 5 hoursThe trek set up with sensible normal trail and small climbing and downward. You will cross all through the small array of Tiling and Lurigaon until you go the round Yangtze which is also recognized as Yangtsher. Here, you will be passing the tributary of Panzang River which further planned to walk around the villages all along with the Monastery. Overnight stay at tented camp. Day 17Trek to Jeng La Phedi (4,900m) 5- 6 hoursOn the following day, you will trek moving to the Jeng La Phedi, passing the parade of laden on the form to the Tibet boundary. Spending relatively a lot of days at the like river, at last, you will get away revolving east till you roll up at joining equally with two small tributaries. The sharp choice to the base will take you to Jeng La (4,900m). Overnight stay at tented camp. Day 19Trek to Dho Tarap (4,040m) 4- 5 hoursTaking a short trek in an arresting valley you will turn up to Dho Tarap (4,040m) where you will have plentiful time to pause around the villages. Dho Tarap is enclosed with an uneven stone wall. At Dho, about 40 houses are separated into three clusters and put up in a random way occupied by hardly any Tibetans and normally Magars hill tribe has lived here for Several groups. Overnight stay at tented camp. Day 20Rest day in Dho TarapToday we spend the day for rambling and resting in Dho Tarap village which is enclosed by an unequal stone wall. During the day we can visit a local culture and Buddhist monastery of the area. In addition, you will get time to stretch your muscles as taking rest does not means you have to stay idle. So, you will move out from the camp and will walk around in an innovative atmosphere. Overnight stay at the tented camp in Dho Tarap. Day 21Trek to Tarap Khola 3,800m) 6- 7 hoursOn the following day, you will relatively move to Tarap Khola which is extended or self-effacing amble depending on the substitute of plentiful campsites so the route can be as expandable as you akin to. By the afternoon time, you will get there at the union of the Tarap Chu and the Lang Khola, a river which comes together with Tarap River from the additional east. Overnight stay at tented camp. Day 22Trek to Khani Gaun (3,150m) 4- 5 hours On the following day, you will move downward, heading to the gorge of the Tarap River. The gorge also provides astonishing endeavor and adventures. Lastly, you will get to the camp blot next to the Tarap Khola at Khani Gaon (3,150m). Overnight stay at tented camp. Day 23Trek to Tarakot (2,321m) 4- 5 hours Moving on the trail of Lalberi village you will start the trek through the wonderful forest, preceding downfall into another gorge. Ongoing the walk into the river will arrive at Tarakot (2,537m) where you will be greeted by multi color fields. Tarakot (2,537m) is an elderly fortress settlement recognized by the native people Dzong, whose meaning is 'fort'. After getting Tarakot, we can explore Sandul Gompa (monastery) which located nearly 8km east of the village at an edge of Tarap Chu and Barbung Khola (river). The Gompa stands on a hill to the south of bank in Bheri River. Our camp will be Tarap Chu River nearly 150 meters below from the Tarakot, there are also get the police post. Overnight stay at tented camp. Day 24Trek to Dunai (2,140m) 5- 6 hoursWe start our trek leaving Bheri River behind us before passing a bridge nearby village of Lawan. The trail goes continue along the giant Bheri River climbing till the Byas Gadi. From this edge, the trail goes towards the west and relatively get an easy trail. After crossing the river nearby Lochakhola Gaun and a little hike to Dunai for spending the night. The trek provides us wonderful canyon with lush pine trees. Overnight stay at the tented camp in Dunai. Day 25Trek to Jhuphal 3 hours Taking 3 hours of the trek will take you to Juphal (2,475m). The main fraction over the gigantic trail, crossing through the small village of Kalagaonda will take you to the target. For the second time, you will get away from the main trail to ascend above the mini trail at some step in the paddock of Wheat, Barley, Walnut, and Apricot. Trekking in Juphal is an enticing kind of trek. Overnight stay at tented camp. Day 26Flight to Nepalgunj, KathmanduIn an early morning, you will take a flight to Nepalgunj. All the way through the flight you will be given glee by viewing the well-known mountains with classified open-air. In awarding at Nepalgunj, with excitement emotion you will once more book flight to Kathmandu. Landing at Tribhuvan International Airport, Kathmandu you will be transferred to the Hotel and take some rest. Overnight stay at a hotel in Kathmandu. Day 27Leisure day in Kathmandu This is very important for us, sometimes flight can be delay cause weather conditions, technical problems, and other issues. If timely arrived at Kathmandu, this day will be good for exploring new area in Kathmandu valley. On the following day, getting prepared for your tomorrow’s flight, souvenir shopping around Thamel area, There are so many beautiful places to visit, which is we can suggest you for visit and in the evening will celebrate our success trip of Upper Dolpo trekking. Overnight stay at a hotel in Kathmandu. Sometimes, flights can be canceled due to numerous of issues such as mountain weather, and additional technical problems. That time, Nepal Glacier Treks organize another existing road shipping to ensure you are on a timetable for your international flight. NOTE: During the trip, weather, transport, local political situation, strikes and numerous of other issues that are outside our control could result in a change of itinerary. It is, but, very unlikely that the itinerary would be significantly different; if the different itinerary is necessary the trek/ tour leader will resolve what is the best others. We discuss and observing the best interest of the whole group. We can do everything to minimize its results, but we could not be responsible for the effects of delay and changes. You are suggested to make sure that your travel insurance, three copies of passport size photos and passport is valid for at least six months before leaving your hometown. We request you, please book your trip as early as possible because if you give us enough preparation time for your trip. It means your trip will be managed well and you will get full satisfaction from our services. And please ensure that you have got confirmation receipt from our company about your booking. If you need any special services and facilities that are not included in the listed itinerary, ensure that you have informed us about it at the time of booking. Would you want to book any other programs which are not listed on this website as tailor made package let us know by email; we will design it as per your travel need. 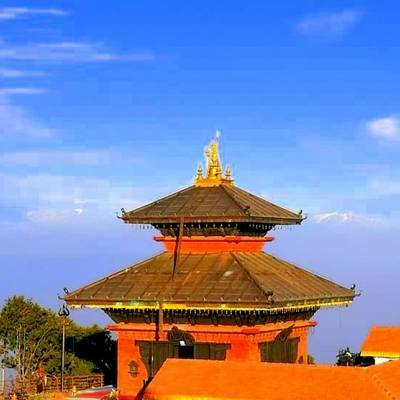 Not really satisfied from this itinerary, you can make own and we will help you to make itinerary as per your travel need in Nepal.